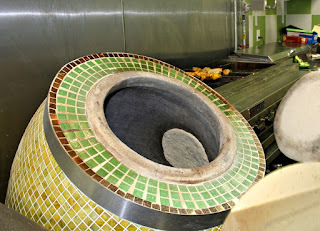 TheArmenianKitchen.com : Green House Bazaar, 5100 10th Avenue North, Greenacres, FL - A Hidden Gem Found! Green House Bazaar, 5100 10th Avenue North, Greenacres, FL - A Hidden Gem Found! When a Middle Eastern grocery store opened in our hometown of Boynton Beach a few years ago, Doug and I couldn’t have been more pleased. 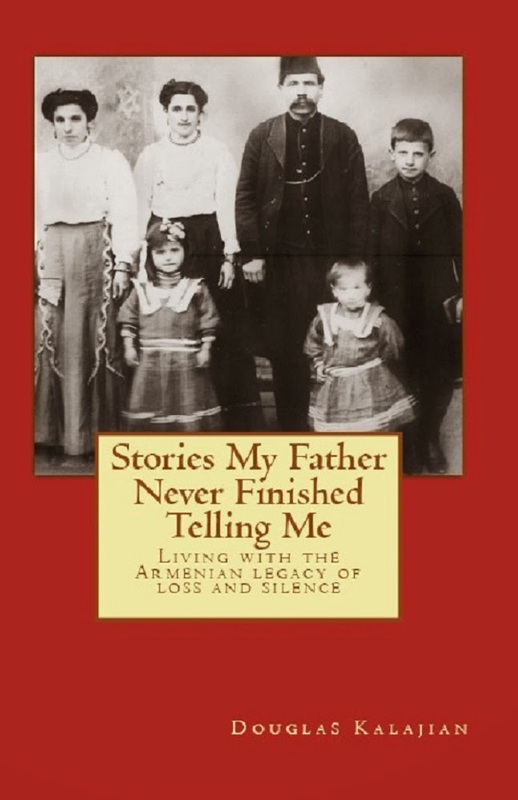 We were able to purchase the must-have Armenian ingredients in order to make our cherished family recipes. The store’s owner, ‘Ken’ had a meat counter, some fresh produce, frozen items, housewares – you name it. He was even planning to have a bakery oven installed for daily-baked pitas, and eventually, a kitchen for freshly prepared food. Sadly, things didn’t turn out as Ken expected and the business came and went after a short two-year run. With the arrival of more ethnicities requiring the same cooking ingredients as we use, we’re puzzled by the severe shortage of Middle Eastern specialty shops in this area. 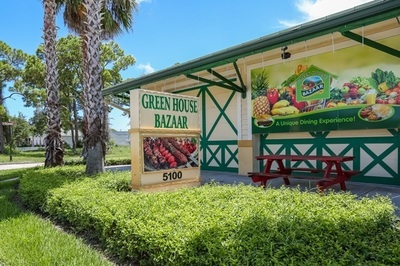 … our friend, Adele Abbott, alerted us to the fact that the Persian-owned Green House Bazaar had been enclosed, still had fresh produce, housed numerous shelves of ‘interesting food items’, a refrigerated and frozen food section including phyllo dough, kadaif dough, etc. – and best of all – the kebab café, which she claimed was very good! 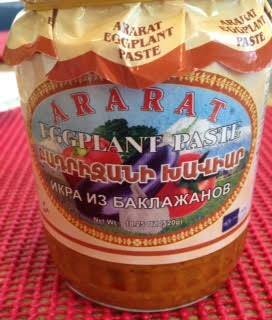 This is the only made-in-Armenia product we found. Doug and I swung by one afternoon to check it out. 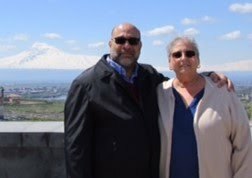 We were delighted to find lavash, basturma, paklava, and a myriad of ingredients that would be useful in The Armenian Kitchen. They were, however, lacking in products imported from Armenia (we found only one) and items such as prepared lahmajoun and Armenian string cheese. 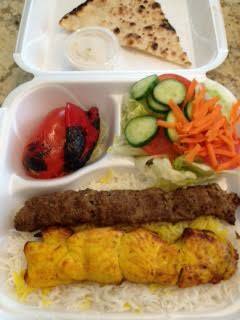 While there, we decided to buy two kebab meals-to-go for dinner that night, and are we glad we did! 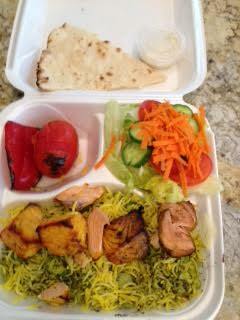 We chose the combo platter with chicken kebab and beef lule kebab, and the second with salmon kebab. Both meals contained salad, rice – white, or green rice, which was studded with fava beans and lots of dill (we got one of each), grilled tomatoes and red peppers, a piece of freshly made lavash, and a side of a garlic-dill sauce. The salads and veggies were particularly fresh –as the produce stand is just steps away from the kitchen! Would we return? You bet, but I plan to have a chat with the owner to see about stocking some more of our personal favorites!